Congratulations – you have sold your home. You may be wondering – what’s next? You will be packing, reorganizing, sending out change of address cards and notifying people of your move. While you are packing, remember not to pack anything that you have sold. Unless you mention items in the contract, the fixtures must remain in place. You could be in violation of the contract if these items are removed. As a seller, you are responsible for ensuring the home is in the same condition it was at the time of closing. This means that the terms of the agreement must be upheld. If the home suffers damage after the time of closing, you must tell the purchaser. At this time, the purchaser could walk away and have the deposit returned, choose to close and receive any insurance proceeds. If the condition of the home changes prior to possession date, be sure to check with your lawyer, real estate agent and the purchaser before completing any repairs. Once the offer to purchase agreement has been signed both the buyer and the seller are under legal contract to close. If you change your mind, or decide not to sell your home for whatever reason, the buyer has the legal right to commence legal actions. If the purchaser decides to walk away from the deal, you can claim the purchaser's deposit or sue for damages. When you arre closing the sale of your home, you will also want to be aware of adjustments, net proceeds and possession date. The costs of these items could be substantial. Adjustments (credits or debts regarding financial costs) will be made to settle the sale of the home. This will account for any expense incurred, (or income earned on rental properties), by yourself or the buyer, as of the day of closing. These fees could include city property taxes, school taxes, monthly condominium fees, utilities and insurance. Any expenses you have prepaid before closing day are pro-rated. The buyer will reimburse you for the period during when you no longer own the property. Expenses you might not have yet paid, but which apply to the time during which you owned the home, are also pro-rated and reimbursed by you to the buyer. If the buyer is assuming your mortgage, adjustments will also be made - the outstanding principal, accrued interest, any funds held in a tax fund and first and last month's rent on rental premises. 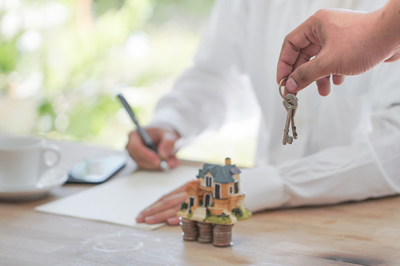 Your real estate agent, the local real estate board, your banker, lawyer or notary can advise you of the fees you are most likely to encounter when you sell your home. On the contract, give careful attention to the details of possession date. The day you move out of your home and hand the keys to the Real Estate Professional, may not always coincide with your closing day. Be sure these dates and time (12 noon, Saturday November 10), are clearly indicated in the contract. Try and avoid having the buyers move in while you are trying to move out. You might be liable for the buyers moving costs. At the same time however, the buyers may have to move earlier than expected. Perhaps the lease has expired or they have sold they previous home with an earlier possession date. If possible, try and be accommodating. This will not only help with a smooth closing process but you will reap the benefits. Often the possession date is factored into the final selling price.